Cirque's Metropolis collection, a series of creme nail polishes inspired by New York City, continues to grow! 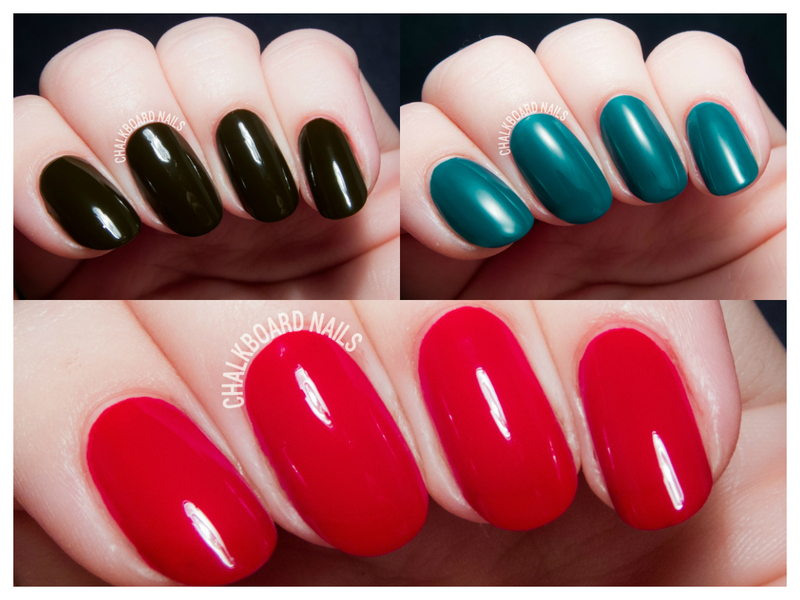 There are new polishes added to the line every month, and today's swatches cover the November and December releases. You can check out the September and October releases in my previous post. 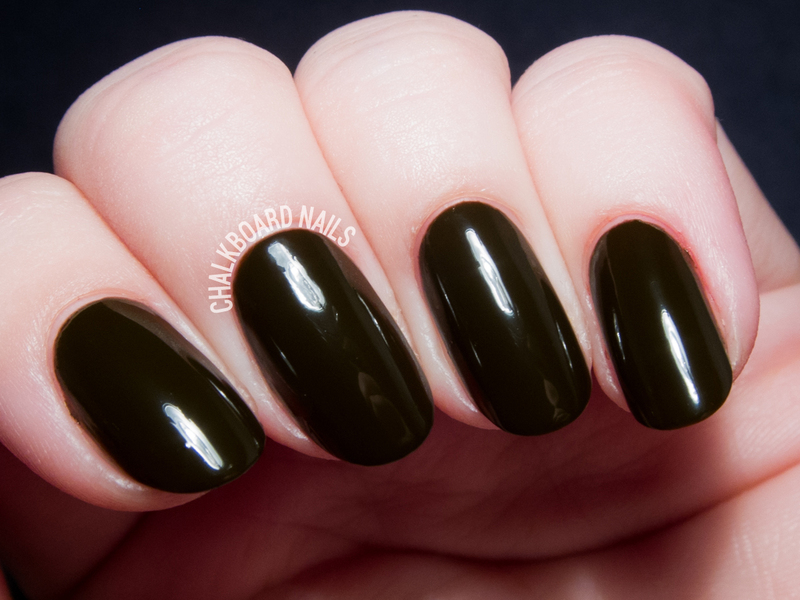 Kickerbocker is a deep chocolate brown creme. It's very dark, almost black. Two coats. Tavern On the Teal is a dark teal shade. It's slightly more green than my swatch shows here. Two coats. The Devil Wears Cirque is a rich red creme. I love the name on this one so much. Two coats. I don't have any complaints about the formula on these; they were all easy to apply, smooth, and glossy. The shades do feel very New York chic, though maybe I'm projecting a little too because of the collection name. "NYFW" does still reign supreme as my favorite Metropolis shade, though I do love the richness of Tavern on the Teal now, too. The Metropolis collection is available now on CirqueColors.com, where each shade retails for $13. Very pretty! That red looks so squishy. I love the teal one. It is so user friendly. I need to check out this brand. 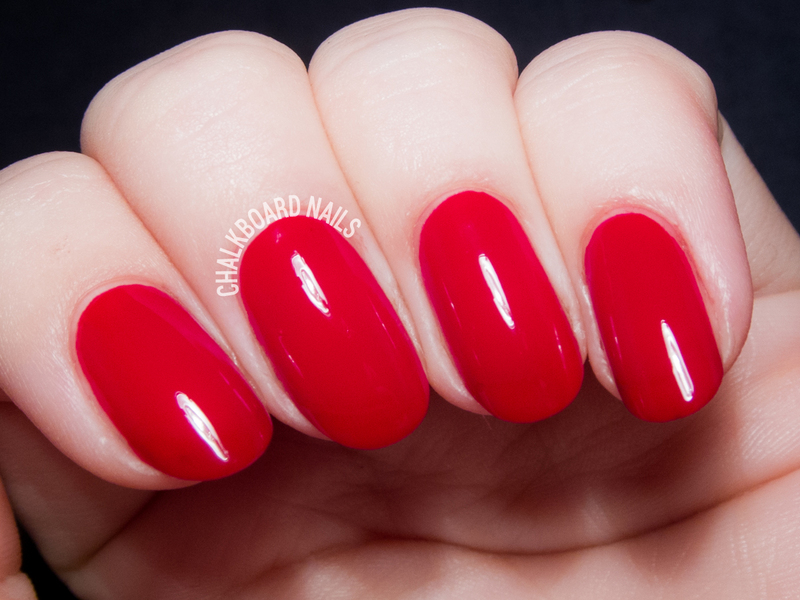 The Devil Wears Cirque is my favorite on you, what a stunning red! Lovely colours, my latest post was about nail art and glitter pots, I'm even doing a giveaway which end's in 15 days, enter for a chance to win..
You do incredible swatches. Everytime you swatch something, I want to buy it immediately. Such amazing photos. Can I be you when my blog grows up? That picture of Tavern on the Teal is downright ethereal. Really need to add that to my list.